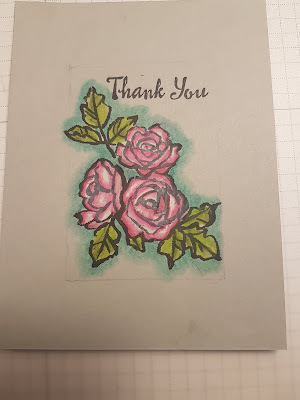 I created this card today, whilst enjoying my morning coffee, and it was such a pleasure to make. 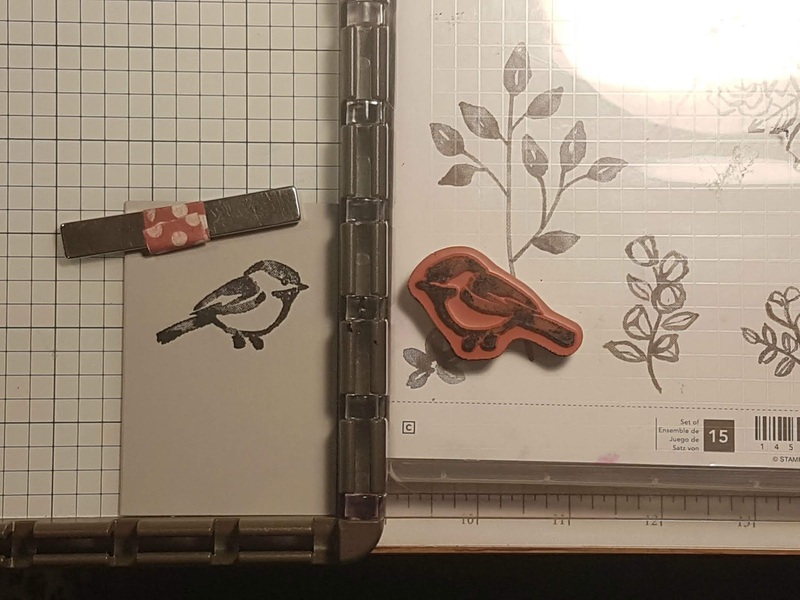 Stamping and coffee - with the Sirius Spa channel on & the beautiful scent of my favourite Nature Garden Osho Dream incense - is such a wonderful way to begin the day. 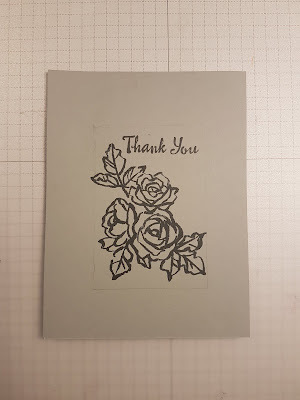 I wanted to make a "Thank You" card for the amazing ladies who work at the Smith Rock Chalets. These gals went above and beyond during my Spring Retreat and contributed to it's smashing success. 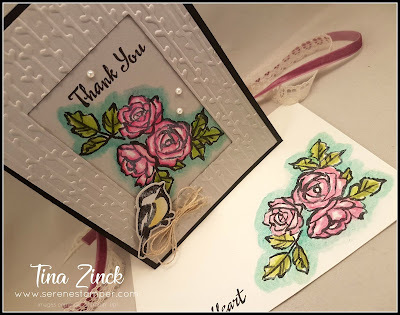 Cut Basic Black card stock 8 1/2" x 5 1/2" and fold in half to create card base. Cut two pieces of Smoky Slate card stock to measure 4" x 5 1/4". Run one of the pieces through the Big Shot using the small rectangle die from the "Sliding Door Framelits" on the centre of the card stock. Set the cut rectangle aside. 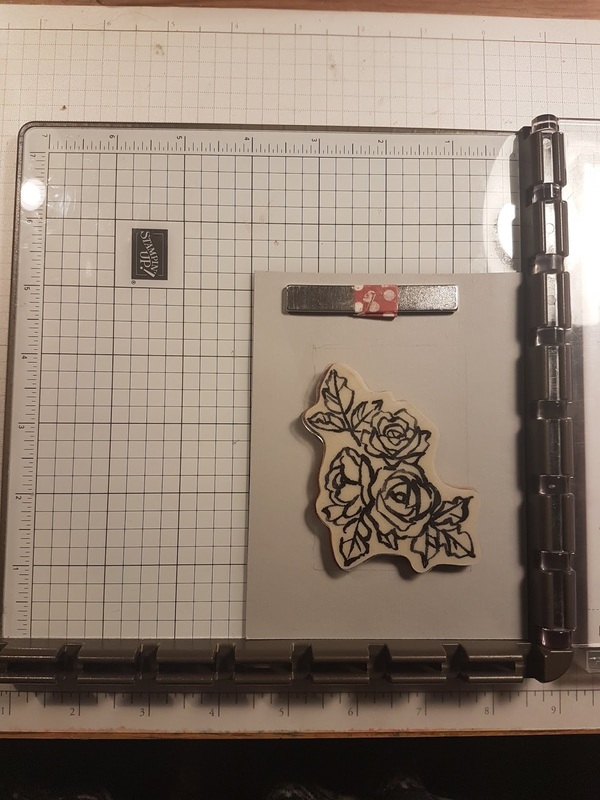 Then run the same 4" x 5 1/4" piece of Smoky Slate back through the Big Shot, this time with the Petal Pair Embossing Folder (long stem pattern). 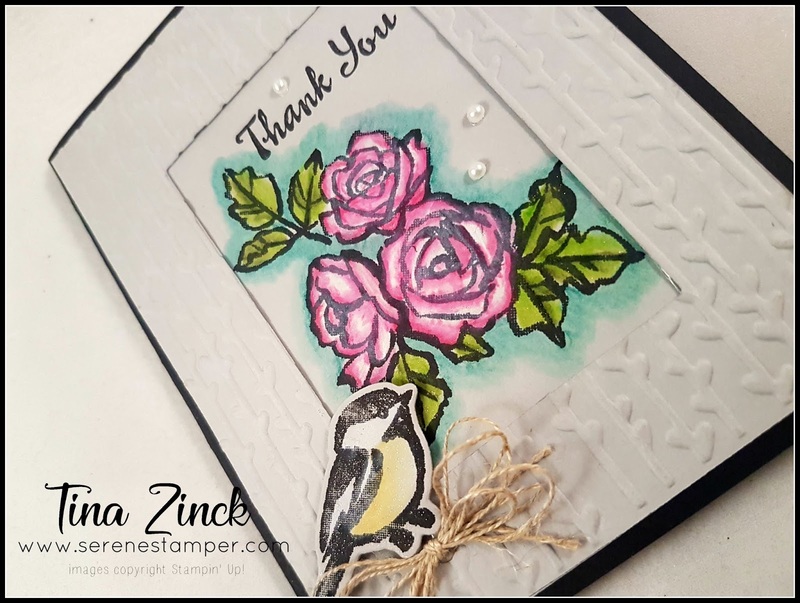 Place over the second piece of Smoky Slate card stock and lightly trace inside the rectangle with a pencil. 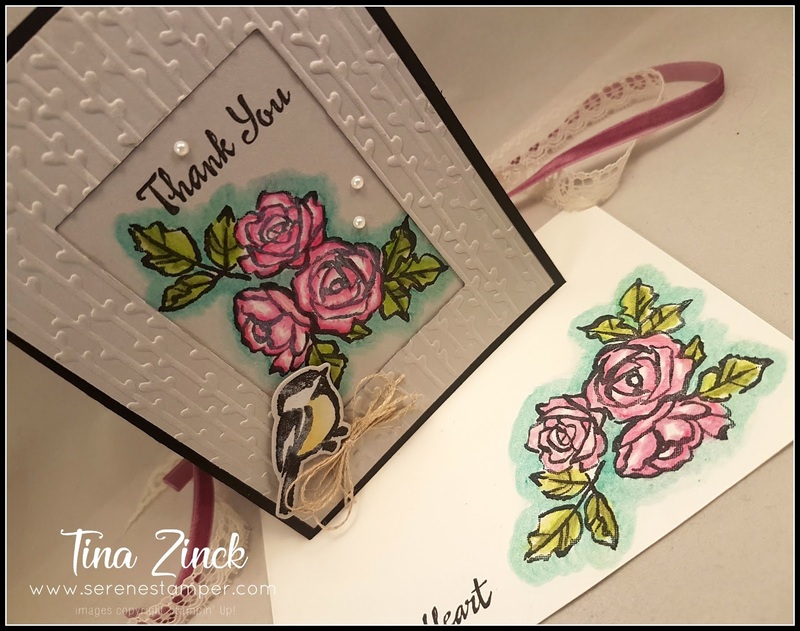 Place the Smoky Slate card stock on Stamparatus and stamp flower image from Petal Palette with Black Stazon ink. 4. 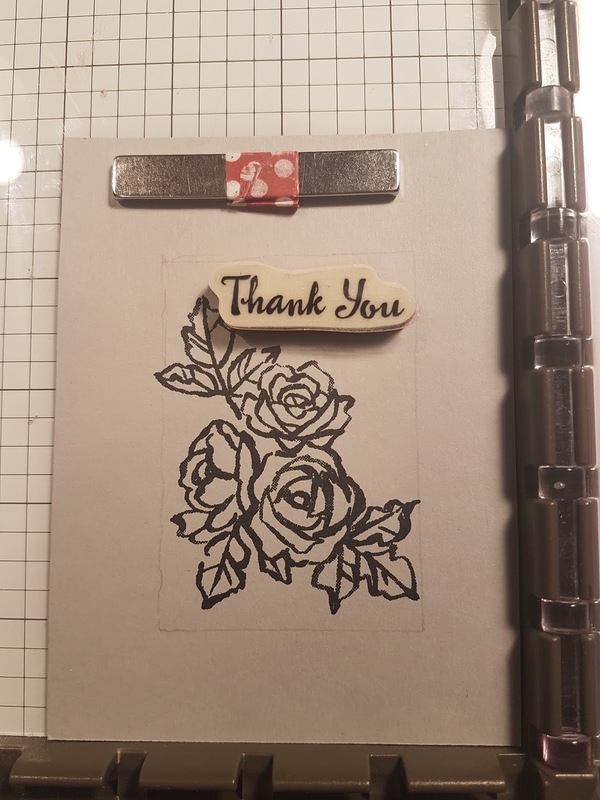 Stamp the "Thank You" sentiment. 5. Use the Watercolour Pencils to colour the image. I used Whisper White and Melon Mambo pencils on the flowers; Old Olive and Lemon Lime Twist on the leaves; and Bermuda Bay as the outline. 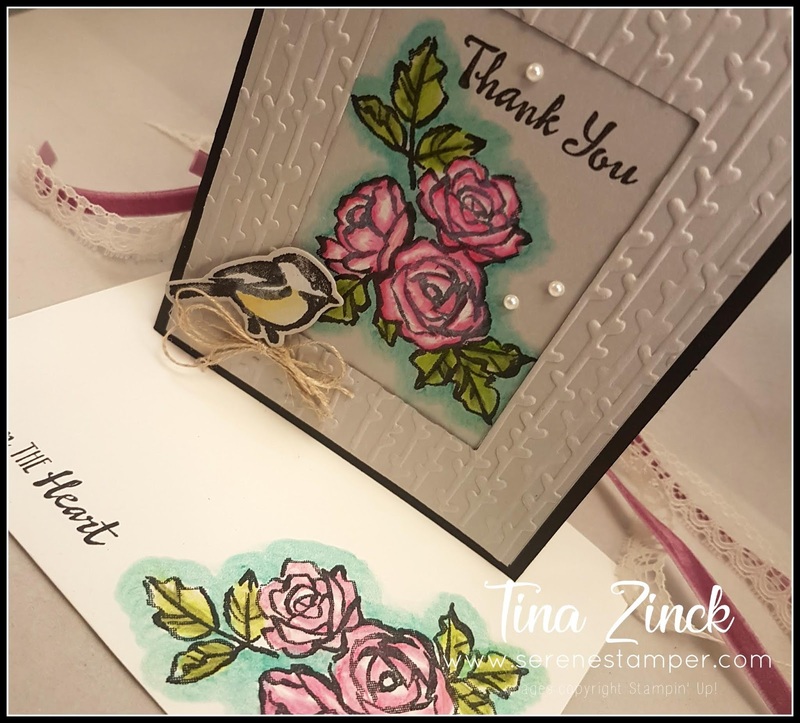 The Lemon Lime Twist Watercolour pencil (love love love) is only available in the "Lots of Happy Card Kit" pg 9 of the 2018/19 Annual Catalogue. This is an awesome kit and has a fabulous set of stamps in it too. Ok - back to the card..... Once you've added all the colours, use the Blender Pen to blend the pencils. Add Clear Wink of Stella. 6. Erase the pencil markings. 7. Stamp the bird image, colour with Watercolour Pencils and cut with coordinating die on the Big Shot. 8. 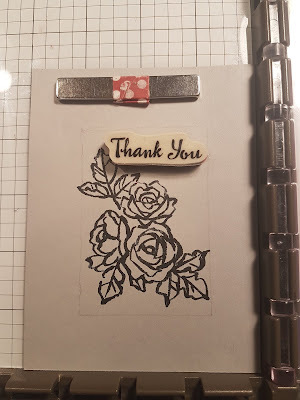 Glue stamped Smoky Slate layer to the Basic Black card base. Glue second piece of Smoky Slate, with cut centre, on top. 9. 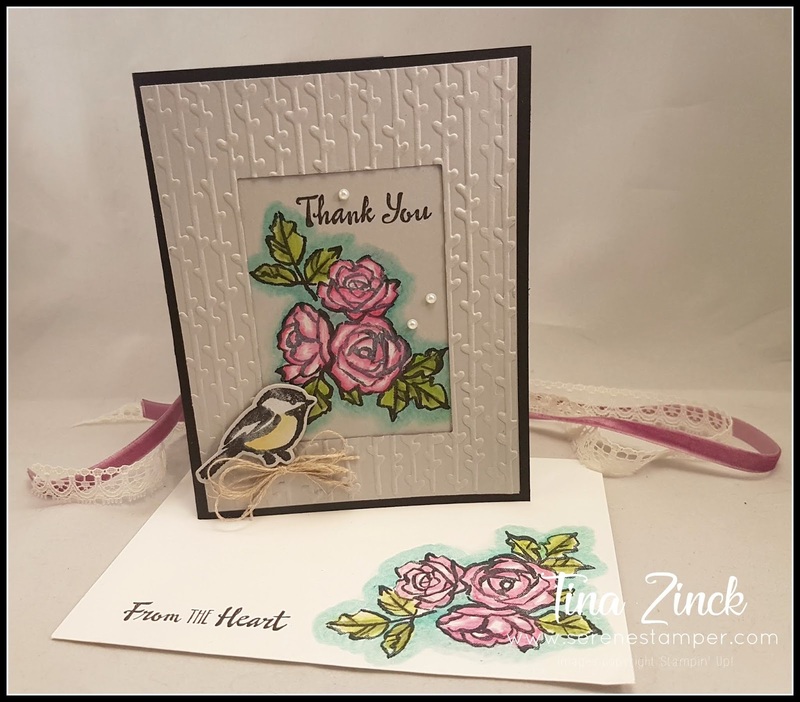 Place cut bird on corner of card using Stampin' Dimensionals. 10. 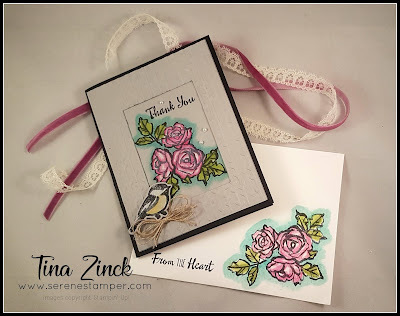 Make a bow out of Linen Thread and add to card, beneath the bird, with Mini Glue Dots. 11. 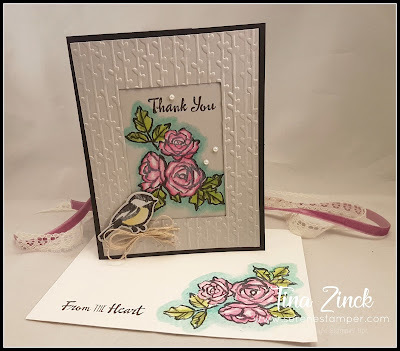 Add some pearls to finish card. 12. 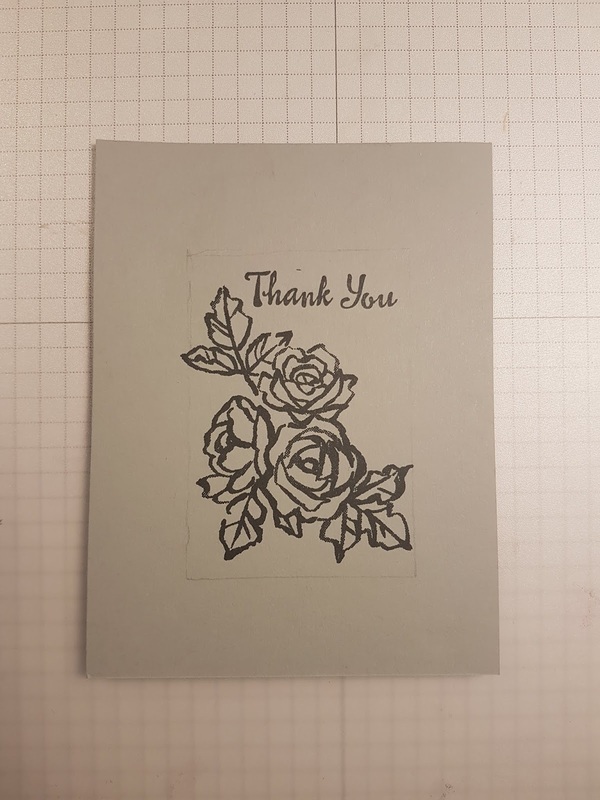 For the inside of the card, I just kept it simple. 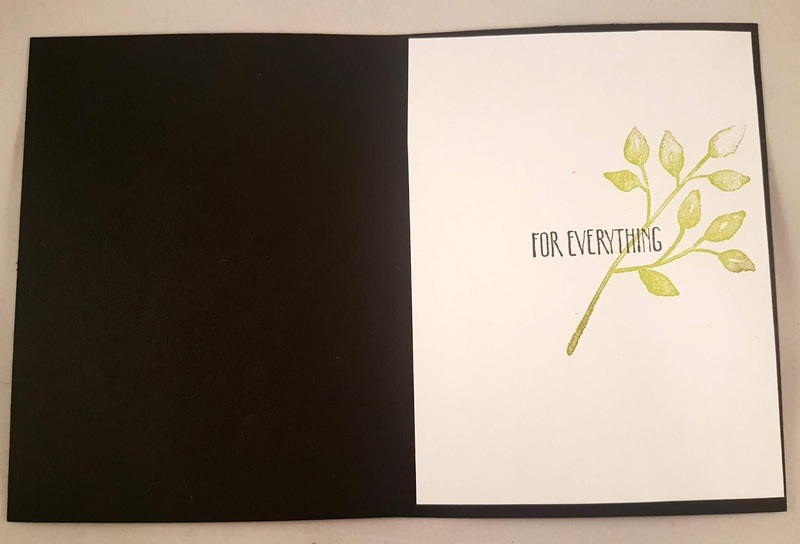 I stamped the leaves with Lemon Lime Twist and then the sentiment in black. I wanted to make sure I had enough room inside to write my message. 13. I always stamp my envelopes too - do you do that too? They look so pretty stamped.